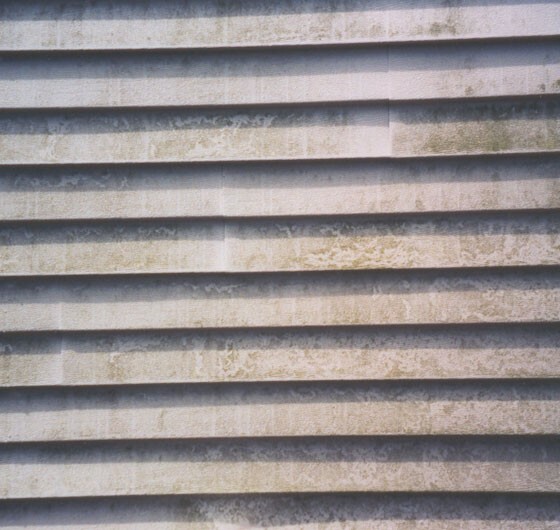 Your single source for all exterior cleaning and coating services. 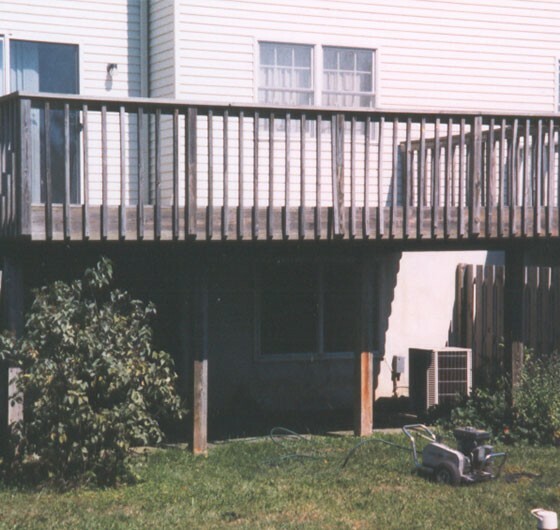 We specialize in house and patio powerwashing and deck restoration and repair projects. Clogged gutters can cause water backup on your roof that can leak into your house. Let DeckPro Powerwash Company’s experienced technicians blow the leaves and debris out of your gutters. Green Siding? 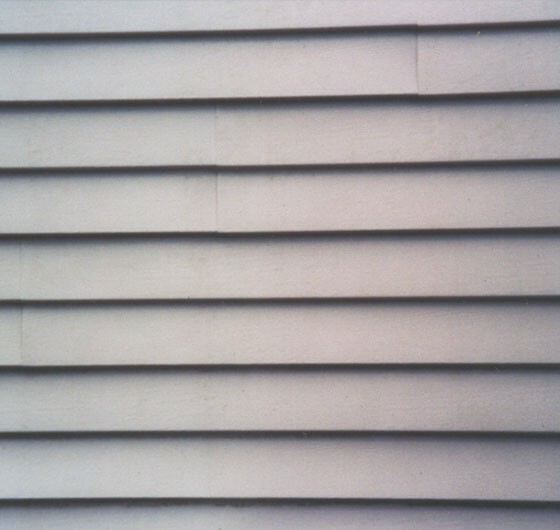 Gutter run-off staining your stucco? 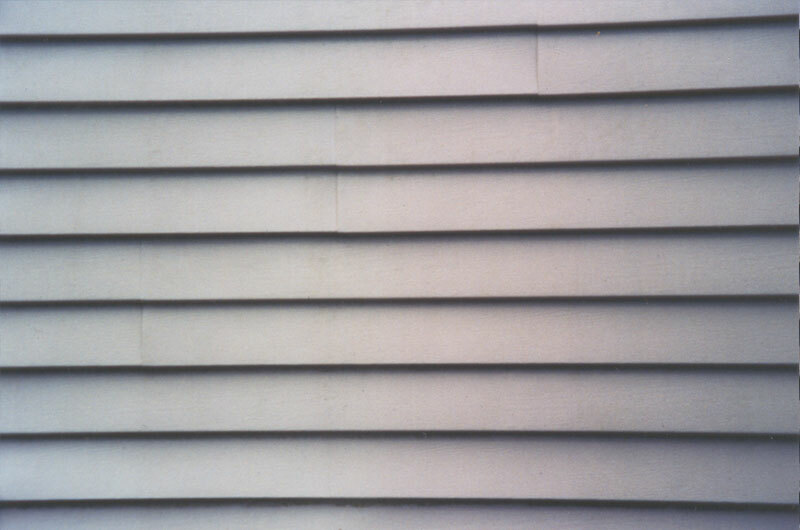 If your home exterior looks grimy, we can make the place look like new again! Getting ready for Winter? We will collect all of the leaves and fallen branches from your yard and leave them curbside for your township to remove or we can remove and dispose of all of your leaves and yard debris. 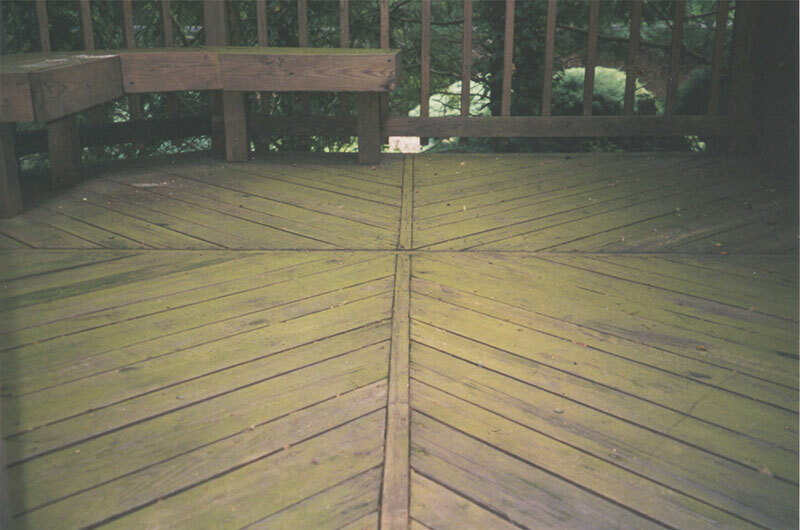 Operating since 1996, DeckPro Powerwash Company has developed a reputation of excellence in deck restoration, repair, and wood protection. 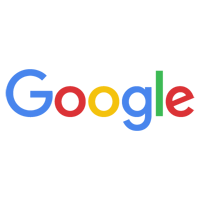 We foster cordial relationships with our customers, seek their feedback, and incorporate their ideas into our work. We believe this is why so many of our customers return year after year to satisfy their deck washing, patio washing, and house washing needs. Request an estimate today so that a member of our team can learn more about how we can help you! 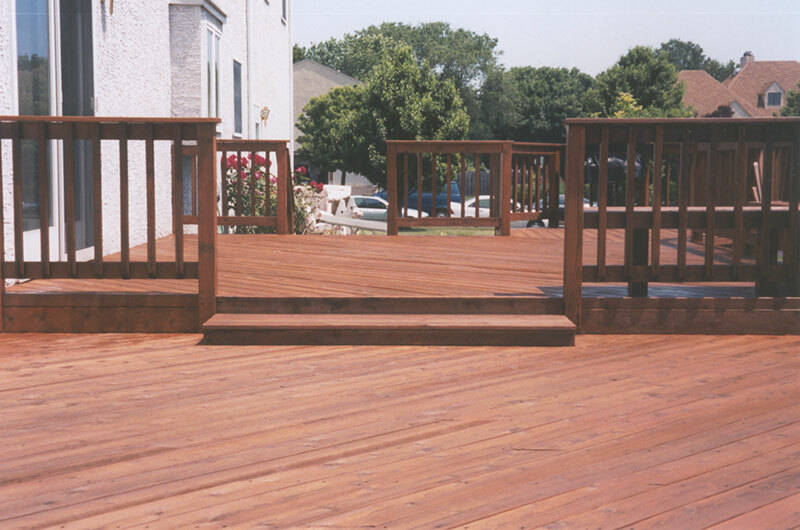 The staining crew was just as polite and courteous as the owner. 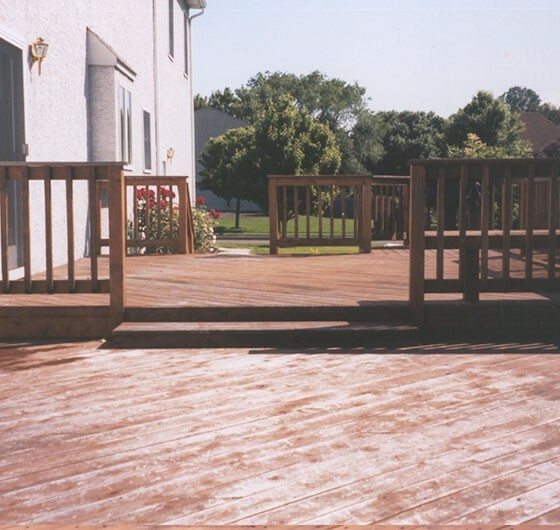 Most importantly, my deck looks great! We are quite pleased with all the work you completed on our home. 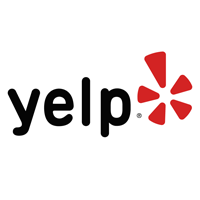 Thank you for your courtesy, professionalism and for exceeding our expectations. The check is in the mail ... we are delighted with the work. We would recommend your company to anyone we know! If you’re experiencing clogged downspouts or simply need leaves and debris to be cleaned out, we can help. Our professional gutter cleaning team will clear your clogged roof gutters and power wash the gutters inside and out. After removing debris, we’ll make sure the water is running through the downspout and draining properly, taking care to ensure our work is complete and our customers are satisfied. First we remove any outdoor furniture, plants, statues, and toys that might obstruct our work area. We then conduct a detailed inspection of the work surface for cracks, splinters, loose/popping nails, warped boards and anything else that a customer might want to address. 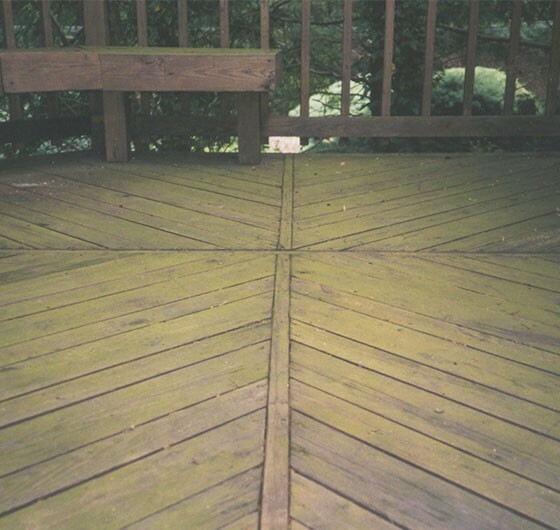 Once we assess the job and make any necessary repairs, we systematically presssure wash every spindle, hand rail, floorboard and accessible support post. After the washing is complete, we rinse the entire area to ensure removal of dirt that got kicked up in the process. We remove any loose debris, such as leaves and twigs, which may have settled in the day(s) since the wash. Stain adheres best to a clean and dry surface. As part of the preparation, we use sandpaper as needed to smooth out rough spots and to ensure the stain or sealant absorbs properly. We also take extensive precaution to protect your property from inadvertent spills and drips. 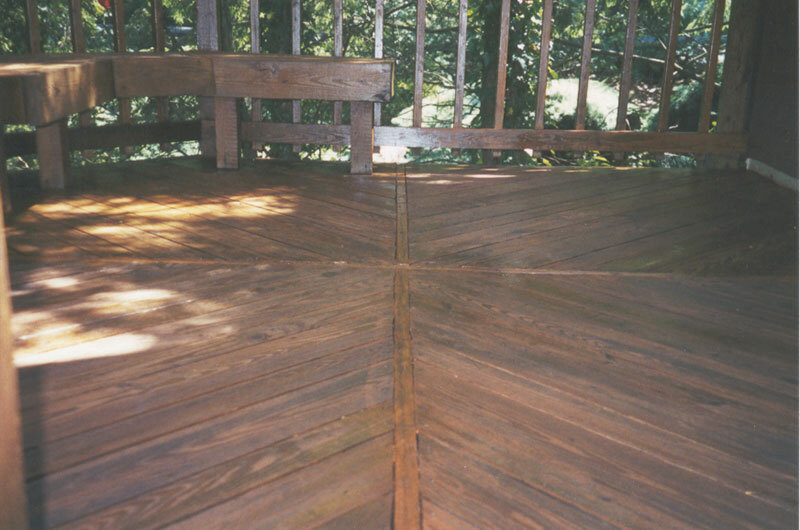 Using a well-developed technique, we apply the wood sealer so that there is a thorough and uniform distribution of product. 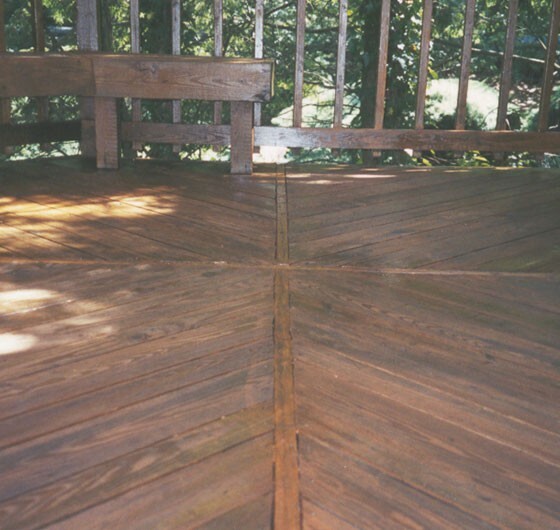 If the deck is particularly dry or damaged, we might recommend a second coating be applied, especially on the horizontal surfaces. We recommend that the re-finished surface be left untouched (e.g. no people, no dogs, no furniture) approximately two days to allow the product to cure. 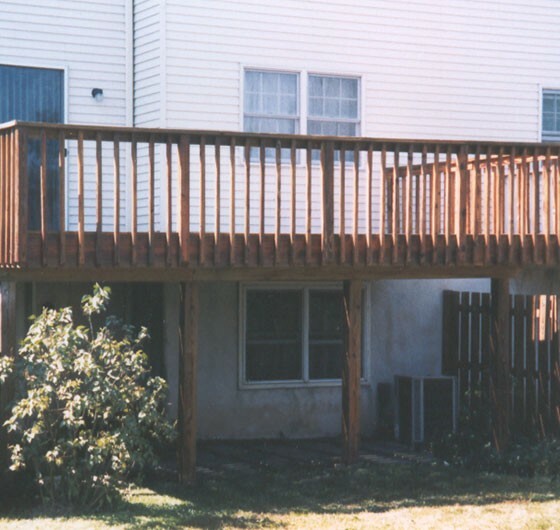 Depending on the type of wood, the product used, and the weather conditions, drying time may be longer or shorter. 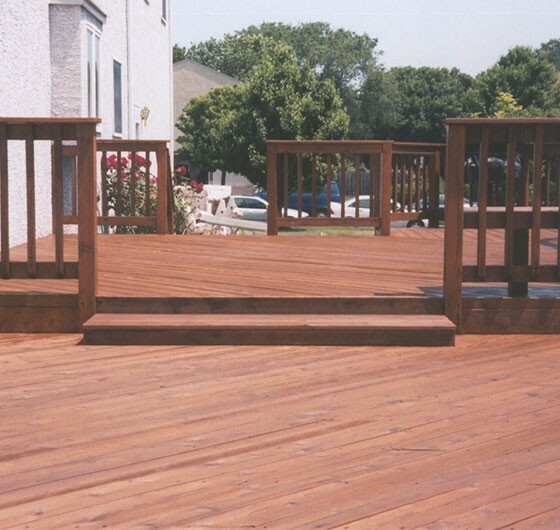 We recommend that wood exposed to the outdoor elements be treated every other year, especially floorboards and hand rails that take the brunt of the weather. 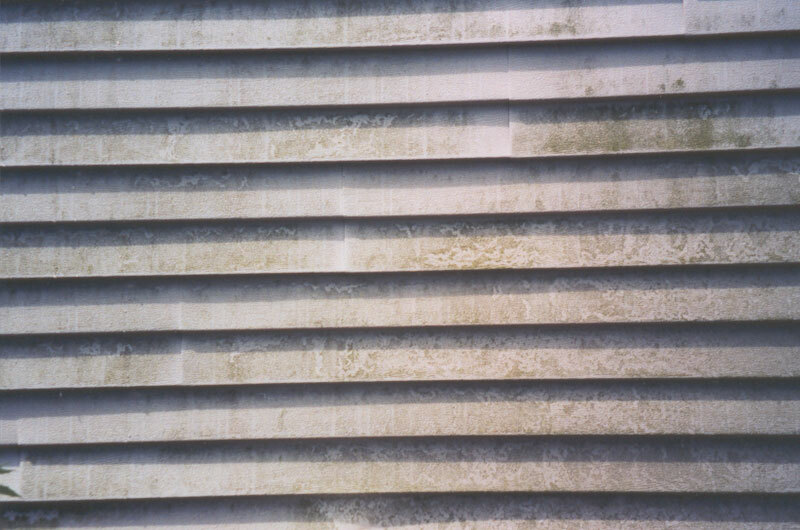 Vertical surfaces can usually hold up for a longer period of time in between treatments. 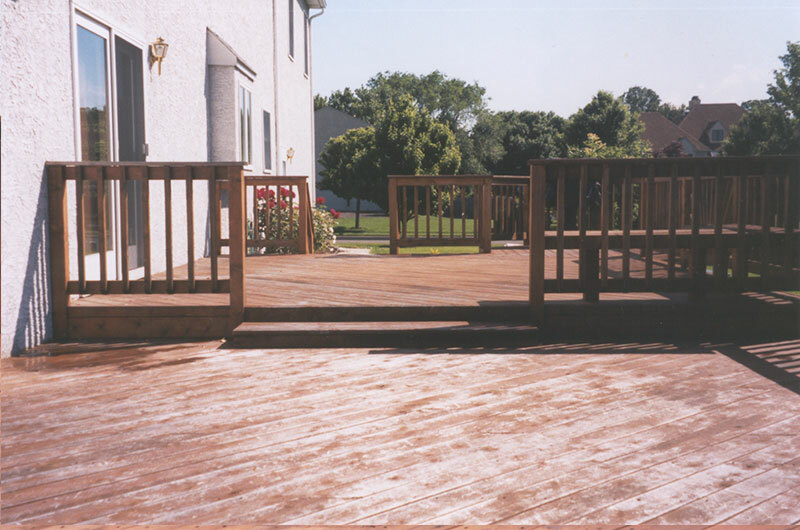 Regular maintenance will help prevent damage to your wood that could include warping, rotting, cracking, mold growth, dirt accumulation, and ultraviolet sun damage. 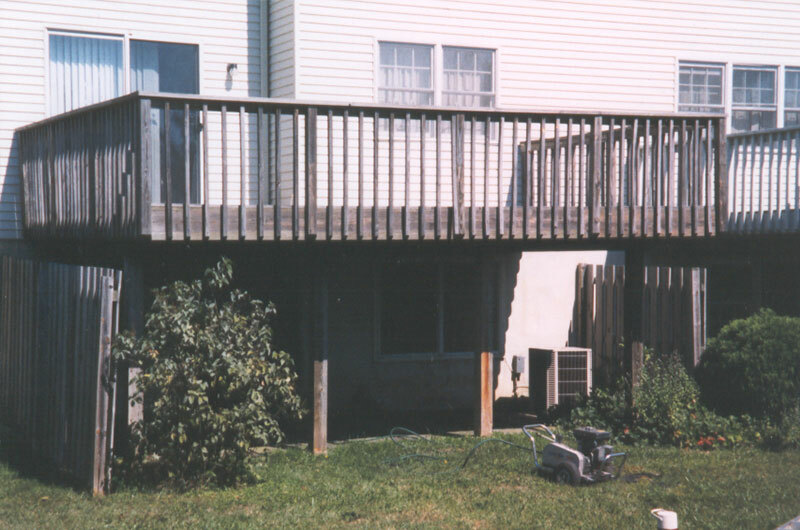 In addition to being unsightly, these defects can create safety concerns due to splintering, loose spindles/handrails, rotting floorboards, and protruding nails. 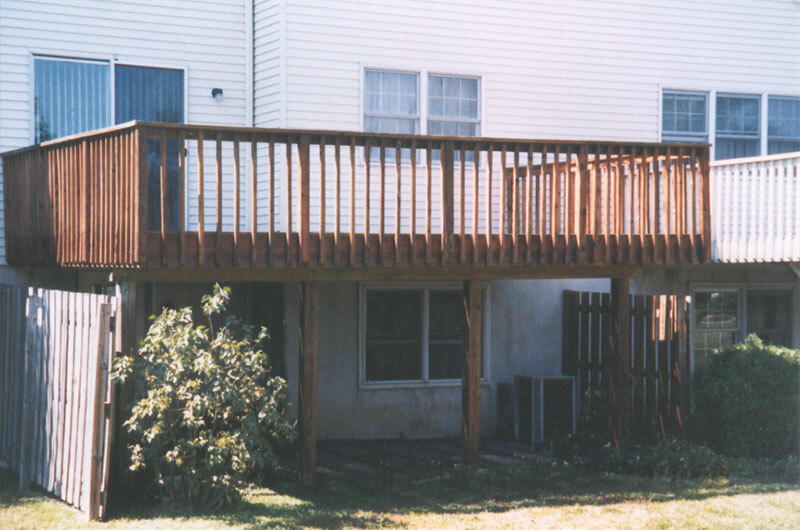 We believe the best way to avoid these problems is to implement a carefully planned deck maintenance program that will keep your investment looking new and attractive. Call (215) 290-4557 or feel free to send us a message below. 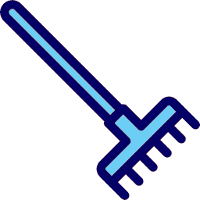 We’ll get back to you within 24-48 hours. Be sure to give us as much information as possible! Rest Assured knowing that we are fully insured! We have you covered. 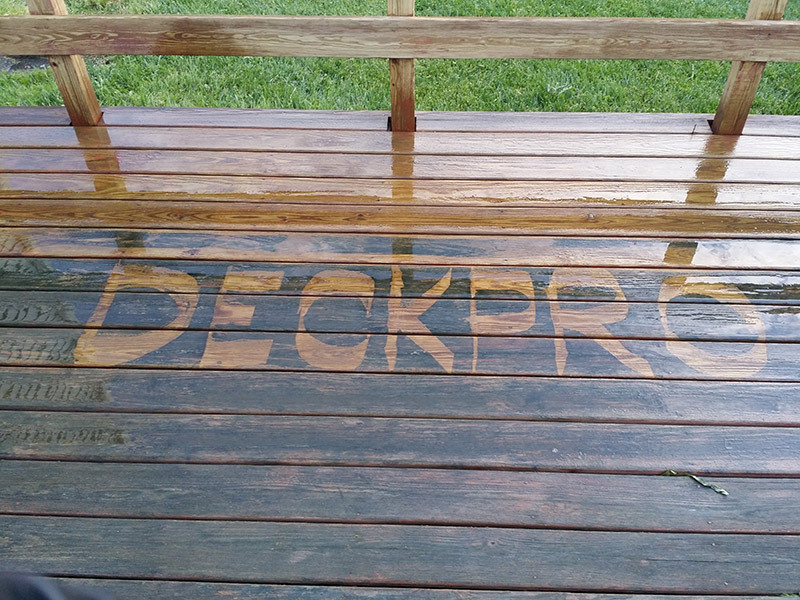 Deck power washing is our business. We’ll guarantee your satisfaction!